It seems that there have been quite a few different publications of this extremely short novel, and the one I read had a number of other stories by Matheson in it. I'll review individually all the stories in the collection I have (the one with the image from the Will Smith movie on the cover; I'm normally hesitant to pick up books with movie tie-in covers, but I really wanted to read this story, and this was the only copy I could find). 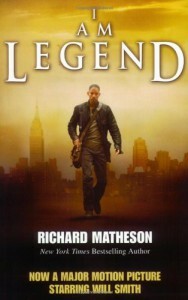 I Am Legend: This was a great story, and I would have rated this book higher if there hadn't been other, less impressive stories in the volume. This was less a story about vampires than it was a parable about loneliness, the need for companionship, and what it means to be human. It read like a parable, too; the prose was terse, almost perfunctory, and the vampires could easily have been replaced by some other monster. In fact, the influence of this book is probably felt a lot more strongly in the zombie sub-genre of horror than it is in other vampire stories. It seems like every zombie apocalypse story owes a debt to Matheson. Although some elements of the tale were poorly thought-out (how is this guy maintaining a muscular physique off of canned food, and what's with the ever-burning fire? ), in general it's a story that's aged fairly well, and deserves its place among the classics of both SF and horror. Buried Talents: A confusing and seemingly pointless story that was too short to really do anything to make up for the spareness of Matheson's prose. At the end of the 8 page story I was left thinking, "OK...what the hell was that?" I feel like maybe Ray Bradbury could have done something interesting with such a simple plotline, but Matheson failed to pull it off. The Near Departed: An even shorter story than Buried Talents, this one had a "punchline" I could see coming a mile away, and not much else going on. A story trying to be creepy for the sake of creepiness, and it fell flat. Prey: This was a pretty good one, although it felt really familiar (I may have seen an adaptation of it at some point, I'm not sure). The homicidal doll trope has been used extensively, but this is the earliest example of it that I've come across, and definitely one of the better. Action packed and to the point, it was both exciting and eerie. Witch War: This was a pretty silly story. Basically one side of a war is run by these seven cute little girls, who happen to be extremely powerful witches. They kill everyone, then laugh about it. Maybe this was a lot more shocking when it was originally published back in 1951, but I wasn't overly impressed. Dance Of The Dead: This was a really weird story, but I liked it despite its shortcomings. It's a dystopian SF/horror without much of a resolution and some fairly clumsy info-dumps, and, worst of all, some terrible "youth slang of the future." For all of that, there were a number of neat ideas, and it was as creepy as it was trying to be. 1997 is a scary time to be teenager, it seems. Dress Of White Silk: Written in the patois of a little girl, complete with bad grammar and no punctuation, this was probably a better concept than it was an actual story, by which I mean that it was a bit of a chore to read. The ending was predictable, though grim. It's pretty strange to call a story with ghost-possession and cannibalism boring, but that's what this was. Mad House: So, this guy is ridiculously angry all the time and ends up losing his job and driving his wife away because he's a miserable human being, and eventually his house becomes animated by the force of his rage and kills him. It was kind of a relief getting to the part where he gets aced just because I disliked his character so much. The Funeral: A combination of some themes from I Am Legend and The Near Departed except written as an over-the-top satire, which I normally don't go for, but this was actually pretty funny. A preposterous ossuary comedy, I wouldn't have expected to like this story, but like it I did. From Shadowed Places: A story from 1960 which has aged very poorly. There is, underlying the fairly straightforward voodoo curse storyline, the assumption here that within every black woman, no matter how civilized, there is a wanton witch doctor who wishes to copulate with young white men and ruin their marriages. 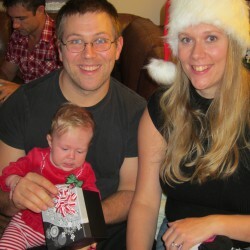 Suffice to say, I didn't like this one so much. Person To Person: David Millman is being harassed by a crank caller, who claims to be everything from a government spy to the devil. It turns out that Millman's therapist was right all along, and that it's actually Millman's subconscious mind haranguing him in an attempt to take over his body. In the end, Millman is too weak to stand up to himself, and his psychopathic subconscious mind takes over. It's pretty much as unsatisfying a read as it sounds. So, that's that. I feel bad that I'm downgrading the rating of a story I really enjoyed because of a bunch of lesser stories, but I'm simply giving an honest account of the book I read and how I felt about it. Yet another example of how reviews are far more important and informative than ratings.